Our seasoned locksmith technicians have over 70 years of experience and expertise to help find the best security solution for any type of scenario our customers may face. 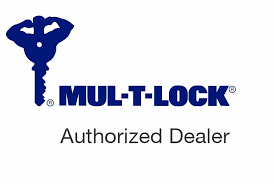 Cross County Locksmith is owned by a veteran in the industry, whose own family brought the concept, and actual product lines, of true High Security, to the United States in the mid-80s by introducing the Israeli-brand Mul-T-Lock to the tri-state area. Mul-T-Lock is now globally renowned and the global leader when it comes to integrating cutting edge design and technology with the highest security products available. Eric served in the IDF and elite Special Forces Units before moving to the U.S. in 1994 when he then began working as a locksmith in New York City. Eric has been and continues to be heavily involved in the local community of Somers and its surrounding areas, including volunteering for the Somers Fire Department where he was promoted to Captain, volunteering as a Certified Emergency Medical Technician in Westchester County, and as a leader of major fund-raising efforts, including relief efforts for Sandy Hook First Responders who were severely affected by Hurricane Sandy, and organizing annual toy drives for children hospitalized at Maria Ferarra Children’s Hospital, including personally delivering Santa, via helicopter, to the hospital to give the children a chance to see and talk to Santa and receive a gift from him, hand-delivered! Eric has been a resident of Somers for over 20 years and just relocated his company and opened a new state-of-the-art showroom in the Somers Towne Shopping Center. Cross County Locksmith values its customers and we encourage feedback so we can continue to optimize our services and provide the highest quality products available. Use our contact page to leave a review or suggestion, and tell us what we are doing right and what we need to improve on. Cross County Locksmith, Advanced Security – we help our customers protect and secure what matters to them most, along with some peace of mind. Call us today with all your security needs!